I’m running in at the last minute again for this month’s Food‘n Flix recipe! Where does the time go?!? 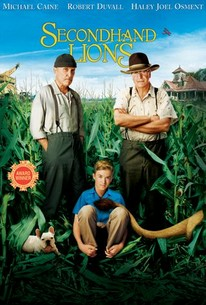 This month’s flick was hosted by Courtney at Fictional Fare who chose the movie Second Hand Lions. I saw this movie years ago, but I didn’t remember a whole lot of it, so I was excited to rewatch with my foodie goggles on! I almost watched this one with the kids, but the reviews were slightly iffy for my sons’ ages, so I decided against it. After rewatching, I think they could have watched it, but there was some mild language and definitely some violence, so I’m happy with my choice. In this movie, Walter gets dumped with his two uncles for the summer by his flighty, neglectful mother, Mae. Walter’s uncles are shrouded with mystery. Also, they love hunting or just shooting things in general (especially traveling salesmen) and that’s eventually where the lions come in. The uncles order a lion for some hunting, but inadvertently purchase a sickly ex-circus lion. 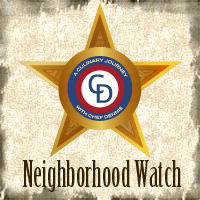 Walter convinces them to let him nurse the lion back to health and more antics ensue. Including a purchase of a large quantity of “Purina Lion Chow”. And that ended up being my recipe inspiration! 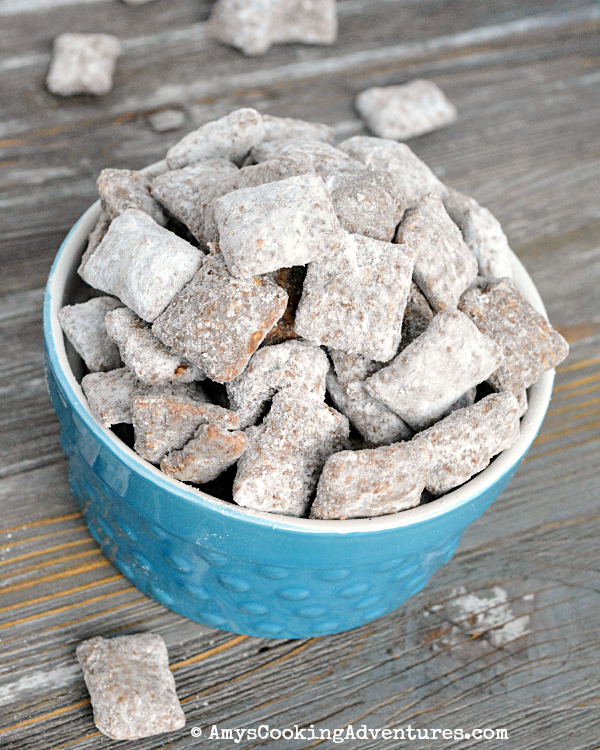 Puppy chow = lion chow. 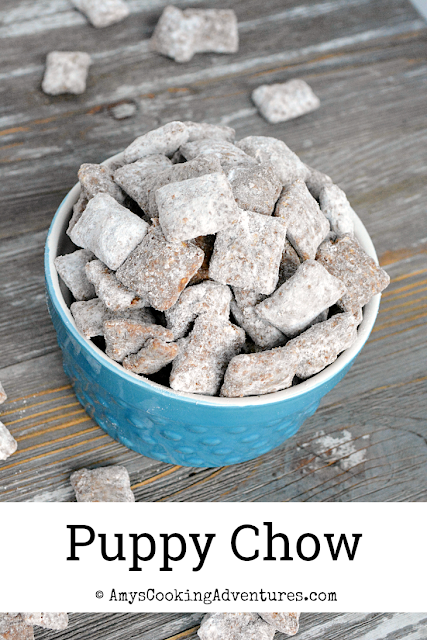 Yep, I decided to make one of my favorite sweet treats, Puppy Chow (or Muddy Buddies, if you prefer). I’m really not changing up the classic recipe here, other than to double it and add a bit more powdered sugar to match my personal tastes. By hey – if it ain’t broke, don’t fix it, right? Place the chex in to an extra-large (preferably lidded) bowl. Place the chocolate chips, peanut butter, and butter into a medium microwave-safe bowl. Microwave for 1 minutes and stir. Continue microwaving in 30 second increments until the mixture is fully melted and smooth. Stir in the vanilla. Pour the chocolate mixture over the chex and stir until evenly coated. If using an extra-large lidded bowl, add the powdered sugar and shake vigorously until completely coated. If you do not have a large enough lidded bowl, pour into a 2-gallon zipper bag or a large paper bag (rolled shut). Add the powdered sugar and shake until evenly coated. Store loosely covered overnight to allow the chocolate to dry, then seal any leftovers tightly. Lion chow was a great idea Amy. 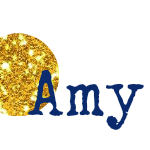 This is a great idea and a great post, Amy. 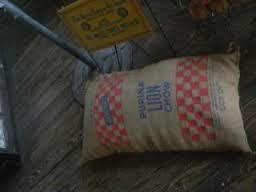 I STILL haven't had, or made, puppy chow. But it looks good. Great inspired-by recipe, Amy. (So cool that you had dinner with Wendy, too.) Fun film and love everyone's recipes.